Easterbrook (1984) argues that dividends play a role in controlling equity agency problems by facilitating primary capital market monitoring of the firm's activities and performance.The reason is that higher dividend payouts increase the likelihood that the firm will have to sell common stock in primary capital markets. This in turn leads to an investigation of management by investment banks, securities exchanges and capital suppliers. Studies by Baghat (1986), Smith (1986), Hansen and Torregrosa (1992) and Jain and Kini (1999) have recognised the importance of monitoring by investment bankers in new equity issues. Recent theoretical work by Fluck (1998), and Myers (2000) also presents agency-theoretic models of dividend behaviour where managers pay dividends in order to avoid disciplining action by shareholders. Additionally, Jensen (1986) sees expected, continuing dividend payments as helping to dissipate cash which might otherwise have been wasted in non-value maximising projects, therefore reducing the extent of overinvestment by managers. In Rozeff's (1982) model, an optimal dividend policy is the outcome of a trade-off between equity agency costs and transaction costs. Consistent with such trade-off model, Rozeff reports evidence of a strong relationship between dividend payouts and a set of variables proxying for agency and transaction costs in a large sample composed of one thousand US firms for the period 1974 to 1980. 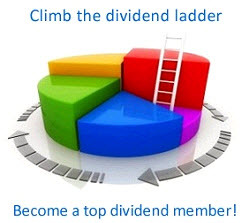 A cross-sectional analysis of dividend policy by Crutchley and Hansen (1989) also shows results consistent with dividend policy acting as a corporate monitoring vehicle and with substitution effects between dividend payments and two other control mechanisms, managerial ownership and leverage.